Overview: The lower level of this bridge is currently used several times a year for music concerts, live performances, art events and other cultural activities. 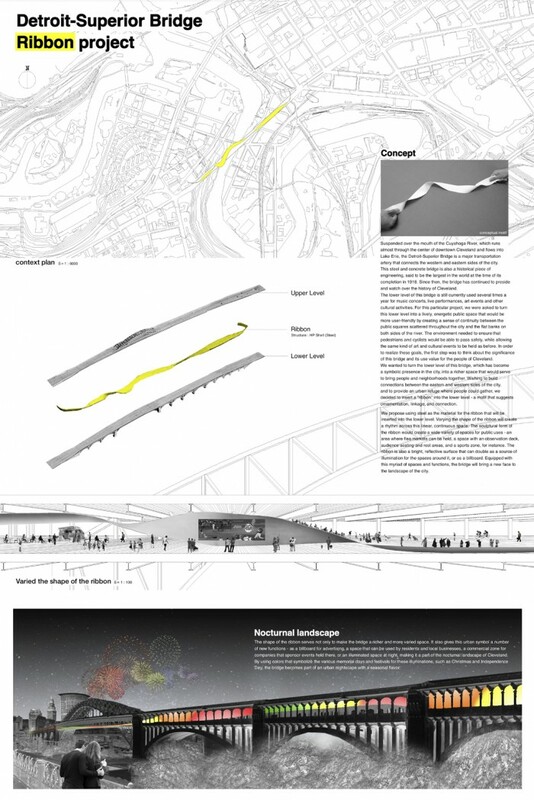 For this particular project, we were asked to turn this lower level into a lively, energetic public space that would be more user-friendly by creating a sense of continuity between the public squares scattered throughout the city and the flat banks on both sides of the river. 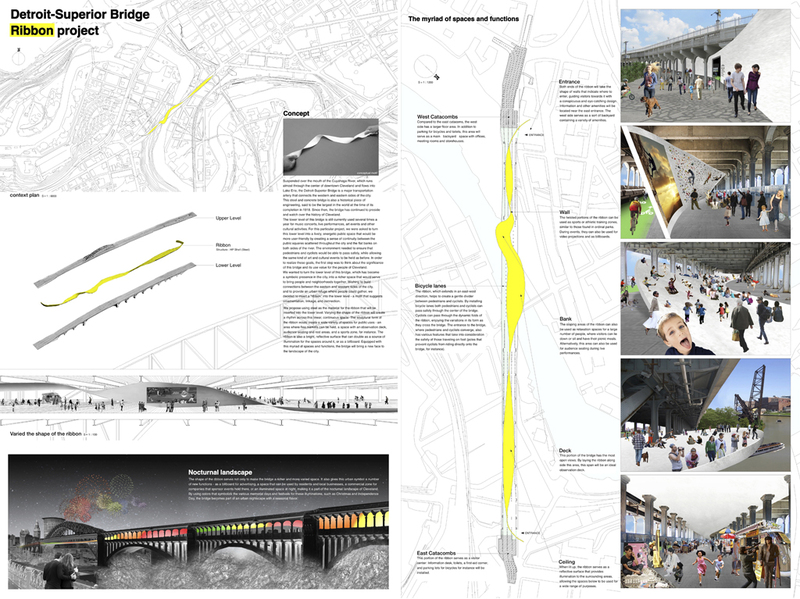 Also we needed to ensure both pedestrians and cyclists could pass the bridge safely, while allowing the same kind of art and cultural events to be held as before. 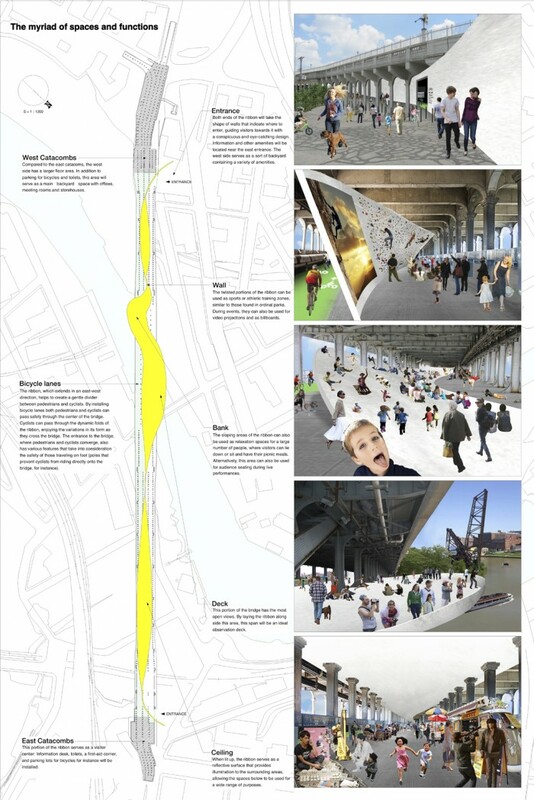 In order to realize these goals, the first step was to think about the significance of this bridge and its use value for the people of Cleveland. We wanted to turn the lower level of this bridge, which has become a symbolic presence in the city, into a richer space that would serve to bring people and neighborhoods together. Wishing to build connections between the eastern and western sides of the city, and to provide an urban refuge where people could gather, we decided to insert a gribbonh into the lower level – a motif that suggests ornamentation, linkage, and connection.